As it turns out, all the McQueen rumors were true; Kate Middleton wed today in a stunning long-sleeved creation by Sarah Burton for Alexander McQueen. 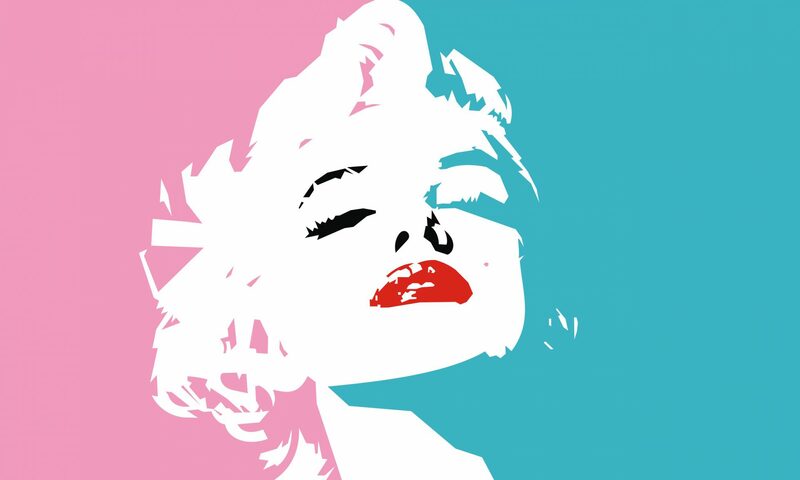 Burton and Middleton worked closely on the design of the dress, referencing English traditions and signatures of the McQueen brand. From the descriptions on the Official Royal Wedding Website, it is obvious that this design made full use of the unbelievable technique and skill of the McQueen atelier. Miss Middleton chose British brand Alexander McQueen for the beauty of its craftsmanship and its respect for traditional workmanship and the technical construction of clothing. Miss Middleton wished for her dress to combine tradition and modernity with the artistic vision that characterises Alexander McQueen’s work.. 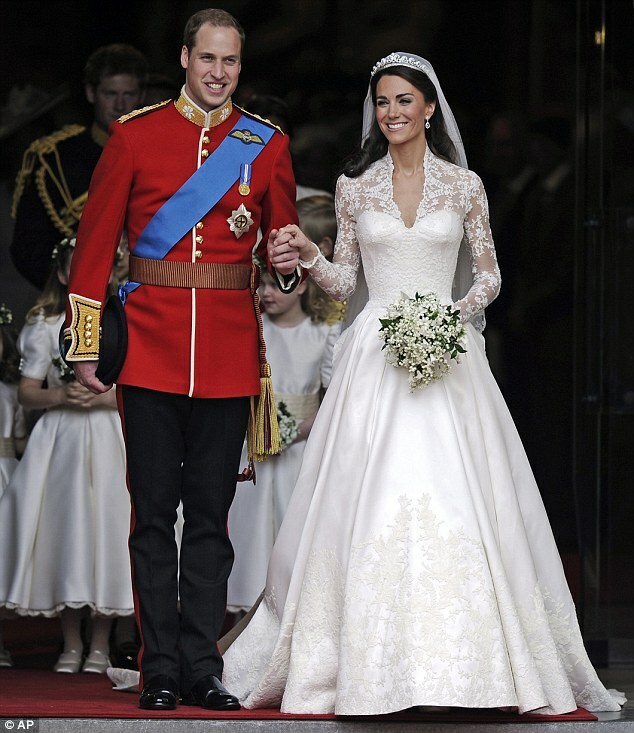 The dress is made from hand-cut English lace, French Chantilly lace, and ivory and white satin gazar. The lace appliques were handmade by the Royal School of Needlework using a technique called Carrickmacross that originated in Ireland in the 1820s. The lace workers washed their hands every 30 minutes and replaced their needles every three hours to ensure that the lace remained pure white. The flowers designs in the lace are of actual flowers: rose, thistle, daffodil and shamrock. If you thought Kate Middleton looked curvier than usual, you’d be correct. The silhouette featured padding at the hips, as a reference to traditional Victorian corsetry as well as a signature of the most dramatic McQueen looks. 58 gazar and organza covered buttons ran up the back of the dress, no wonder Middleton needed help getting dressed this morning. On top Middleton wore a tiara belonging to the Queen herself. The Cartier “halo” tiara was made in 1936 and given to Queen Elizabeth on her 18th birthday as a gift from her mother. 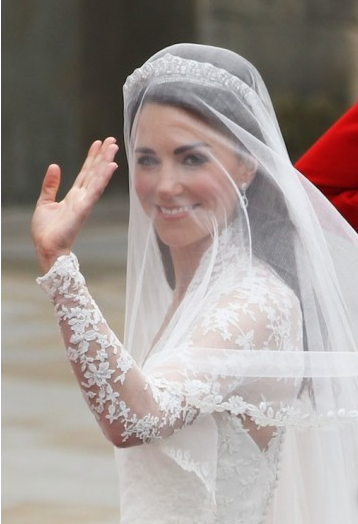 Middleton’s veil is made of ivory silk tulle – nothing too heavy when she’s got to show off a vintage Cartier tiara. Classic, demure, and elegant the dress is sure to please both the public and the fashion critics. WWD has already scooped up quotes from the fashion crowd about Middleton’s choice.